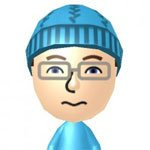 You might remember that last year Nintendo Life got its very own eShop shelf, and we directed your attention to a variety of DSiWare and 3DS Download gems. It was such a success that Nintendo has decided that we're awesome enough for a second run, so we're back in the store with our recommendations of the hottest games to get you through the sweltering summer. 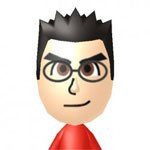 Available only in the North American eShop (sorry European friends, your time will come), four of your favourite bespectacled Nintendo Life writers have put together 20 games that should be on everyone's console. We've made sure that we're pointing you to some of the best games to play when lounging on the beach or, if you're unlucky enough to live in the UK, sheltering from unseasonal rain. These were selected a short while ago, so if any recent highlights are missing please refrain from hurling too much abuse our way! Tom couldn't pick his favourite episodic game so has instead gone for a spread of revamped classics, 3DS-exclusive downloads and a bona fide classic right at the top. 4. Freakyforms: Your Creations, Alive! The great Chicken Brutus plucked some great games for his choices, with flippin' great DSiWare puzzler Antipole and infinite flight game Bird Mania 3D ranking highly. Retro-loving Drake plumped for titles that will test gamers' reactions and skills, but also recommends taking some time out to express your creativity with the arty Colors! 3D. Our downloads editor picked a range of games, from Game Boy platformer Adventure Island to WayForward's eShop action game Mighty Switch Force! 2. Art of Balance: Touch! Let us know which games you pick up! Big thanks to Nintendo of America for making this possible. Interesting, I'm only missing one from each writer. Darn, beaten to the punch on reporting this. Oh well, this is still the best eShop update EVA! Haha, great! I'll try and buy something from your shelf! Wow... I have every game that Tom has listed. @bezerker: and look who picked it! I have every game but Antipole. Is it good? Congratz on the exposure. Good lists all around, too. Nice list, but I have most of the games already. I had the biggest smile on my face when I saw this on my eShop shelf. congratulations folks. I might pick up Bird Mania from your shelf. And Colors 3D once the sale starts. It came out juuuuust after we submitted our picks. Otherwise it would have been in strong consideration! Congratulations to the NL staff! I have 10 of those recommended items on the list. It was fun picking lists as a group, in any case, because it was ideal for selecting a good variety. As for Zen Pinball, I've been holding off on Marvel Pinball until I pick up an XL this weekend, so that's why that one got the nod. I also have an unhealthy obsession with Xevious, even if I never seem to get very far. Loads of good stuff though, and there's a few I may pick up if we're fortunate enough to have a European shelf again in the future. UK rain is never unseasonal. Also How do you get your eShop to look like that? With the bottom shevles like DSiWare, VC, System News, etc. I've done the system update for double shelves, so is this what the UK eShop looks like? Wow, congrats once again! Great picks! Congrats NLife! It's obvious Nintendo considers you all 1. a great force in getting ppl to purchase certain titles on their platforms, &/or 2. very reputable. More than likely though, they consider you both. Reputable's what got me staying here. So, Congrats! Edit: Also, you guys have some pretty good tastes. I'd probably say GB Tetris too but I haven't purchased it yet. All great picks, guise! Congrats on a 2nd showing on the eShop! Awesome. I'll check the eShop soon. Donkey Kong, Kid Icarus, Bird Mania, Freaky Forms, and Mutant Mudds. I saw this last year but wasnt as active as a reader/commenter. Now its just awesome, grats guys. Congrads guys you deserve it. I love this site! Not in EU? Oh well, congratz to NL! Just saw the actual picks in the eShop. I'll definitely buy some games off of this shelf just cause this site rocks. This is great! There are a couple I don't have but considering. Thank you guys for all that you do! Man, we really have poor vision, huh. @TheDreamingHawk Yes, Antipole is good. Well I think so anyway. It's like VVVVVV in the way you can flip the gravity, but more of an arcadey style shooter set in a desolate space station. It's a very Metroid-like atmosphere, and the game has a decent amount of content for 800pts too. Awesome, even though I have all of those games except for Freakyforms and Antipole. 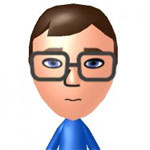 Your Mii's are so cute. Nice! Glad to see some recognition for the site! @theblackdragon I think quite a few of us have beards too! Krazy kool, kids. Well done. This is great. This will also attract more potential members. Super cool! This is awesome! 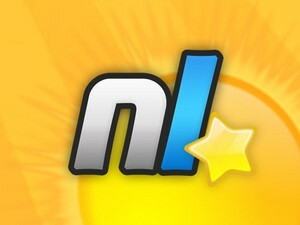 Congratulations to NL and all its staff for this recognition by Nintendo, it's well deserved. Further proof that NintendoLife is best Nintendo site! You do know, however, that you're likely to get more Emails requesting you make such and such game, etc. from people who think you ARE NINTENDO? Finally, has Nintendo ever expressed reluctance to do this since you also have websites devoted to PlayStation? You know, THE ENEMY? Wot? No Digger Dan? Again? 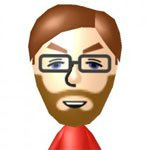 James' dream to have NintendoLife appear on the Eshop again came true! My top ten list would've included more 3DSWare titles. Horrible line up. Just horrible. I agree wih Corbie on Art of Balance: Touch! It bested Pushmo and I loved my first two worlds so far! As for Colors 3D, I'll know tommarow at 9:00! 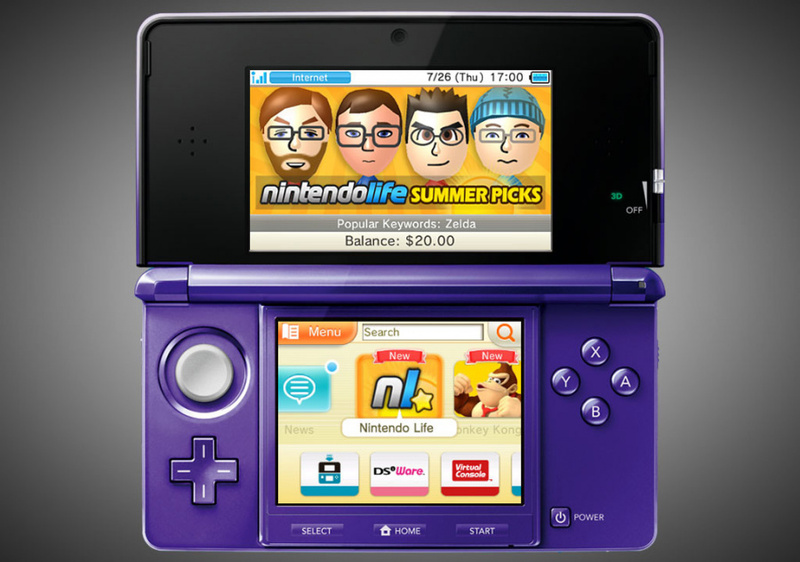 I fired up the eShop this morning to find NintendoLife on the 3DS, awesome!! Congrats guys, you rock! @Chicken_Brutus - Too bad TSoHII is really good. Hmm, seeing as Colors 3D is on sale, I'll look into it get it off your shelf since this time Canada has eshop cards. Also I'll look into a few others. I was so happy and shocked to see this happen twice. Too bad @James missed this, well at least he can see it happened again. I just noticed it! Nice that Nintendo notices you guys again. Congratulations on your second run guys! Great job on making it on the eShop again! I don't remember the first time mainly because I wasn't a member yet. In another a few months, I hope to see you guys on there once again. I also like Phil's choice in Antipole. It's a fun little game for $5, and while it's a tiny bit glitchy at times, I had a blast with it last year. Surprised it was the only DSiWare title picked, though. It's very cool to see you guys get more exposure. Congratulations! Excellent job guys! You're famous!!! Game and Watch Gallery 2 GBC is pretty cool. Congratulations guys. Good work again. I'm in the NL office right now, without glasses.... but with contacts. I saw this on the e'shop the other day,loved the games y'all picked.